Punjabis are fun loving people so their weddings are. 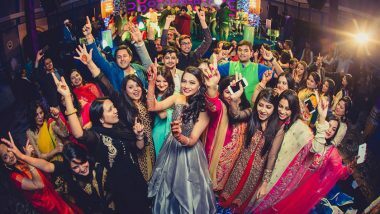 Punjabi Weddings are full of lots of masti, drama, fun and music-dance of-course. 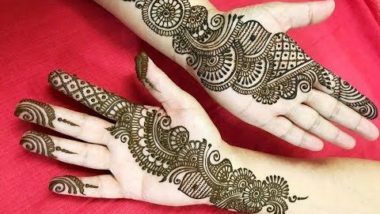 Any Punjabi Wedding is incomplete without many wedding traditions like Mehndi, Dholki Ladies Sangeet, Jago and they are incomplete without punjabi marriage songs. All these Punjabi Wedding Traditions are total fun and entertainment but Sangeet ki Raat is the most awaited ceremony in Punjabi Weddings. This ceremony is a complete package of all emotions..fun, masti, rula-ruppa and sad emtions too. Ladies dance on Punjabi Dholki songs which are some times very funny and some times very emotional. 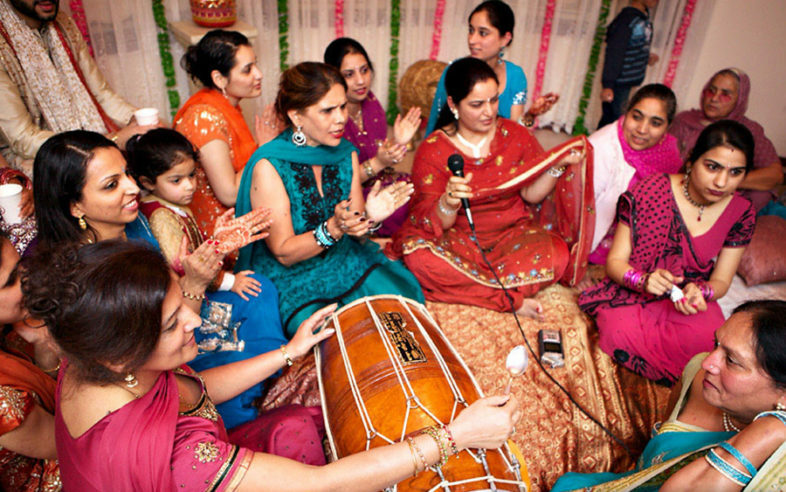 Dholki Ladies Sangeet Ceremony is celebrated in both the families that is Bride and Groom. The bride and Groom are teased by the ladies of the families by singing funny punjabi dholki songs. Dholki Ladies Sangeet starts with Ganesh Vandana and after that sagana de geet are sung by the ladies of the family. Here is the wedding songs hindi list of all time hit and favorite traditional Punjabi Dholki Songs.